Shaping the bread to make an "eight". I foolishly decided to leave the disc on the shaped bread, hoping to make the pattern get embedded in the bread as it rose. It stuck fast and would not budge. So I baked the bread with the disc still attached. Once baked, the clay disc was still stuck fast. The impression on the other side of the "8" disappeared with oven spring. With a bit of a struggle and pursing my lips together at exactly the right angle, I managed to release the disc from the cooled bread. This is a close up of impression - the sunflower pattern doesn't really show up at all. 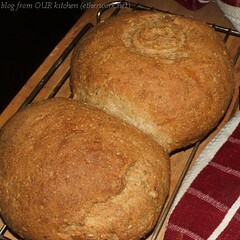 sliced Because of the olive oil added to the dough, this bread is quite light and fluffy. 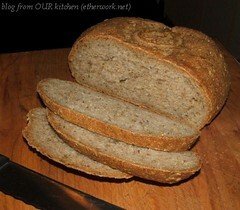 We sliced and grilled some of the bread, drizzling it with olive oil. It was brilliant. Zucchini fritters, broccoli and chili garnished with herbs from the garden. L'Otto di Merano, sliced and grilled on the barbecue, went perfectly with this. 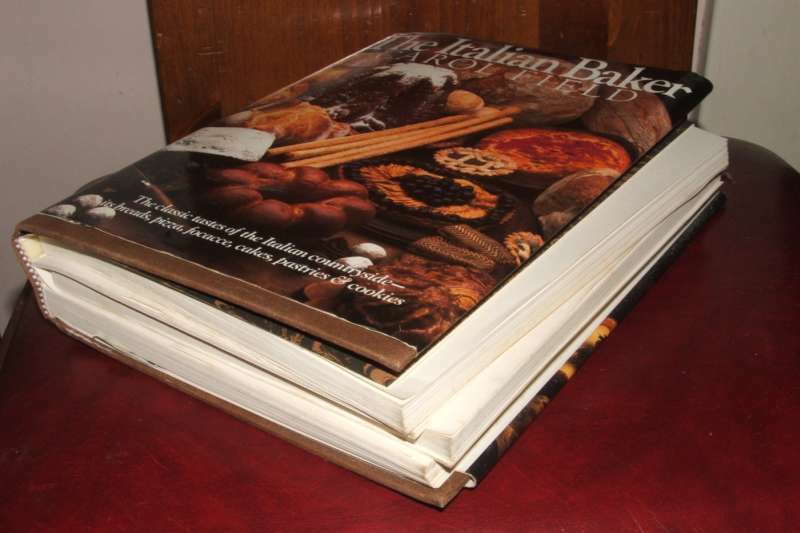 I was given "The Italian Baker" by Carol Field for Christmas 2000. 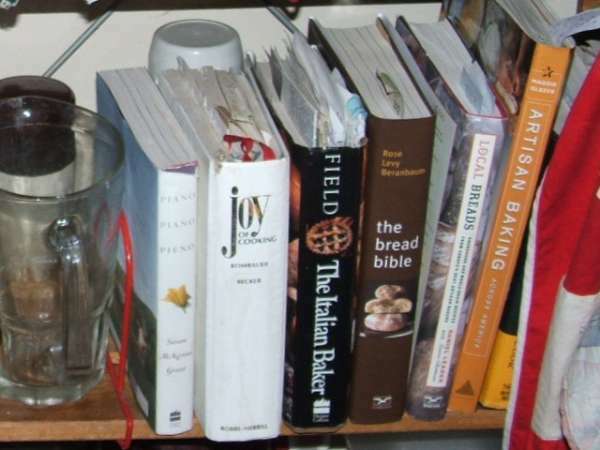 It is my first 'serious' bread book and has been used so often that the binding has broken. In spite of the poor binding, it's a great book! The 'rustic breads' section alone makes it worth buying.